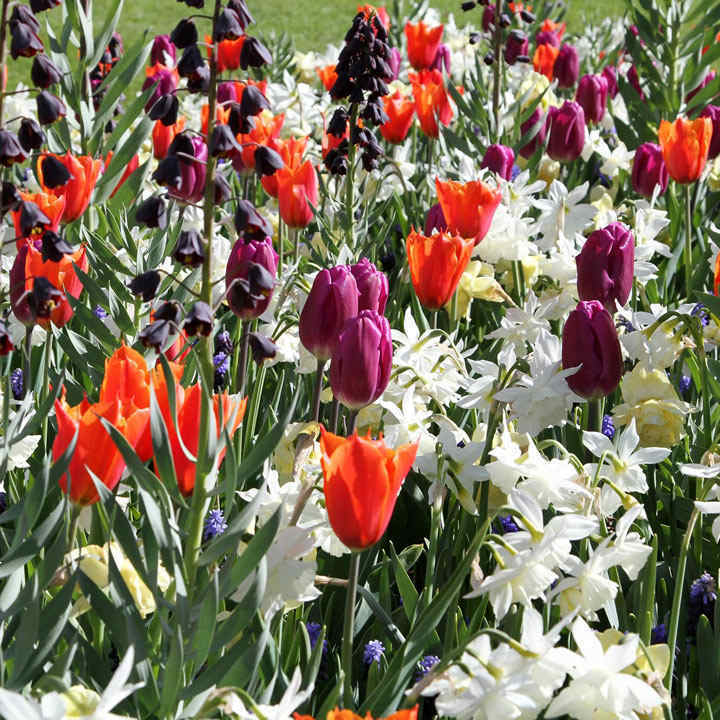 One of our favourite mixes of different types of bulbs to provide the most amazing combinations of colour and flower form that we've ever seen, and blooming over a long period! 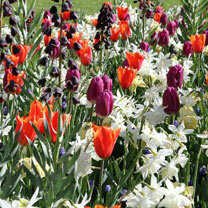 Bold coloured mix of tulips, Fritillaria, narcissus and muscari. Superb for containers as well as creating a swathe of subtle spring colour in your beds. Flowers April-May. Height 81-90cm.